Upgrade your blackjack game with the Hi-Opt II Count system. As Hollywood has taught us, when something is well-received by the public, the most appropriate course of action is to produce a sequel! It’s rare that the second-coming is better than the original, and often times, it’s nothing but a waste of time and money. But on the rarest of occasions, a follow-up can be a great idea, if not better than the first. 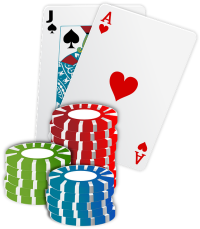 Such was the development of the Highly Optimum II card counting system for advanced blackjack players. The Hi-Opt II is built upon the foundation of the Hi-Opt I; an improved method taken from the 1968 Einstein Count. In this newer version, the point-count system is upgraded. Although a bit more complicated, it does the intended job of giving players slightly more efficient betting correlation. And finally, a comparison of the Hi-Opt I versus Hi-Opt II Count Systems. To make use of this system, you’ll want to start practicing by running through a count of a single deck of cards. Continue running the count down, time and again, until you can end with an accurate total of 0 with ease. The purpose of this count is to know when to increase and decrease your bets, based on the probability of being dealt a natural blackjack. When the count is running high, place larger bets. When it is low, keep your bets to a minimum. Being a balanced system (a running count starts and ends at 0), converting to a true count will increase the efficiency of the Hi-Opt II count system in multi-deck games. In theory, it’s easy to do, but the conversion can be more difficult to execute in a real life situation, so be sure to get lots of practice in. Converting from running count to true count is a simple matter of dividing the current count by the number of decks you estimate are left in the shoe. For example, if the running count is at +2, and you estimate 4 decks remain, divide 2 by 4 to get a true count of +0.5.